Cycling’s even more fun when you ride with other people. 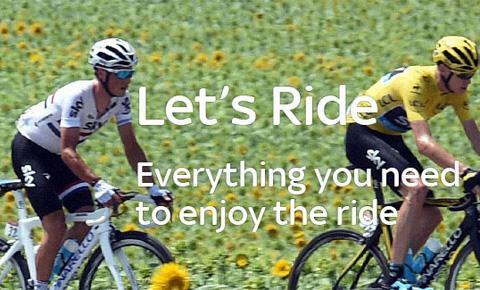 Sky Ride have created a range of easy ways to get out on two wheels. A gentle ride down the canal towpath from Eanam Wharf to Witton Country Park. We’ll pass 6 locks along the way and don’t forget to look out for the iron man on his bike. Once inside the park we’ll pass some wonderful scenery, possibly try out the ‘Wits Adventure area’ and see if we come across any of the stones to discover the hidden history of the park. There is a refreshment area at the Pavillion cafe where we’ll have a well-earned break! Helmets must be worn by all under 18’s regardless of ride level. Please make sure your bike is in good working order and bring equipment with you to repair punctures, Ride Leaders are there to help but are not responsible for your bike. All rides leave at the time stated you must arrive early Ride Leaders will not wait.